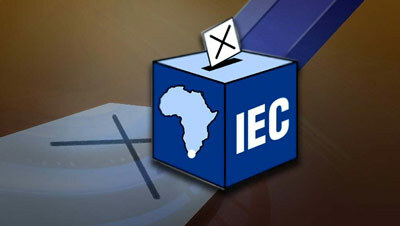 IEC calls on first-time voters to register - SABC News - Breaking news, special reports, world, business, sport coverage of all South African current events. Africa's news leader. Twenty six million voters have already registered on the voter's roll. The Independent Electoral Commission (IEC) has called on first-time voters to utilize this weekend’s voter registration drive to register. It’s also urged the one and a half million registered voters without verified addresses to furnish their details at the local voting station. The IEC has also warned that once President Cyril Ramaphosa and premiers officially proclaim the election date, no further registrations will be allowed. Twenty six million voters have already registered on the voters’ roll. The Electoral Commission aims to register an additional one million young voters at its nearly 23 000 voting stations this coming weekend. Voters with unverified addresses are still a thorn in the side of the IEC. Since 2006 the IEC has managed to reduce the number of registered voters without verified addresses from 8.4 million to 1.5 million in 2019. It has appealed to those who have not registered to use this weekend to do so. The IEC has welcomed the recent signing into law of the Political Party Funding Act by President Cyril Ramaphosa. It’s expected to be implemented by April 2019. Meanwhile, the IEC says it’s dealing with a complaint by political parties about the Democratic Alliance’s election billboard with the names of the Life Esidimeni and Marikana victims and those who died after falling into pit toilets at schools.